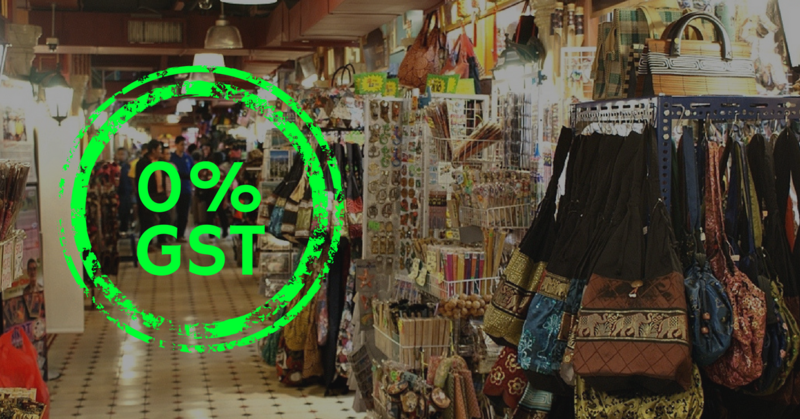 What Does Zero Rated GST Mean For Business Owners In Malaysia? As of May 16th, the Ministry of Finance of Malaysia has announced that from June 1st, the GST in Malaysia will be zero rated. Consumers were delighted, but GST-registered business owners probably had a more complicated reaction. We’ve put together some of the big questions and tried to get some answers. 1. Abolishing vs Zero-Rating GST: What’s The Difference? There is actually a difference between the two. Abolishing the GST would require the Malaysian parliament to repeal the GST Act 2014 before the tax can be completely removed. “This is because it is the easiest to do, and represents the least cost to the business community. Zero-rating GST will allow transitional issues to be smoothened out. [For example] taxpayers have six years to claim their input tax credit and a lot of them may not have the proper invoice at the present time to claim them. If you have an abrupt cut-off of GST or repeal of GST, they may not be able to claim the input tax in the future. 2. SR = 0% vs. ZR vs. New Tax Codes? Which tax code should you implement? The verdict is out on this one. And there are a tonne of conflicting reports. Typically, the Zero-Rated (ZR) code is reserved for zero-rated supplies such as beef, rice, sugar, water and electricity. The Standard-Rated (SR) code is for… well, everything else. After spending the last several hours (and night) reading through the GST Act, talking to tax accountants, GST experts, and scouring the Custom’s website, we’ve come to the conclusion that the best way forward will be to adjust the SR code to 0% (SR = 0%). Why? Legally, without abolishing the GST Act 2014, goods and services that are not ZR or Exempt are still categorised as Standard Rated (SR). Therefore, by changing SR = 0% your business will still be compliant. For POS vendors like StoreHub that have the ability to simply edit the SR rate, a new tax code is unnecessary and they can simply change the SR from 6% to 0%. Other more traditional, non-cloud based POS vendors might come up with a new tax code for the zero rating as it would be difficult to edit their SR functions. It remains to be seen if these made up tax codes are compliant with the law (unlikely though). If you enjoy reading through legalese in Bahasa Malaysia, you can go check out the official Malaysian Customs site about GST. 3. How Does This Affect My Pricing? If you’re selling a cup of coffee for RM10.60 because it’s priced with 6% GST. Now, with Zero Rated GST, the price will be reduced to RM10. It’s more or less like what Daiso does. Let’s say your cup of coffee is RM10 and already inclusive of GST. How do you adjust the pricing? You will have to deduct the 6% which then gives you the total of RM9.43396, but of course that number is a little too messy for receipts. We highly suggest rounding it up or down to the nearest 5 cents. Check with your POS vendor if there’s a simple way to bulk edit your pricing. StoreHub, for instance, will be rolling out a quick bulk pricing edit function to assist our >2,500 Malaysian customers who are impacted by this. 4. Can You Zero Rate Your Entire Business In 2 Weeks? It depends on your POS system. For some it might be simpler, for others it might be a huge hassle. As you might recall, the GST implementation process took an entire year and was a tedious and difficult process for most businesses. After all, it wasn’t a simple addition to the end of your receipt—GST had to be included in the price of the item (e.g. a cup of RM10 coffee had to be inclusive of 6% GST). If you own a shop, the speed and ease of zero-rating your GST depends entirely on what kind of POS system you might be using. 1. What’s the process like? Can the zero-rating of your products be done by yourself or will you need to enlist your POS technician do this for you? For most Cloud POS providers, we’re working on a one-click solution to help our customers adapt to the change with the least amount of pain. For more traditional POS providers however, the 2 week timeline to execute this will be incredibly tight as technical manpower is needed to make the changes in-store. 2. How much will the zero-rating cost your business? Some POS providers might charge a fee for the update (from our investigations and early calls we made this morning, it can run to over RM10,000! ), AND an additional fee later when a new tax code is passed. Yup. You read right. Now, assuming SST will be implemented some time in the near future (since the government is moving at an unprecedented speed of light), this can be really costly. The cost to update cloud-based POS systems will be low to zero. We can’t speak for other providers, but for StoreHub, our GST-compliance implementation might cost our customers mostly time (which we are trying to mitigate), and no additional ringgits. 5. What About My Tax Invoices & GST Reports? Althought it is zero-rated, it’s still GST. Every mechanism/implementation/rule/law according to the GST Act 2014 still applies (this means tax invoices, annual GST reports, etc). The only difference is that now, your tax is 0. 6. What About Future Tax Codes? SST? There’s some uncertainty for the future at the moment. The Ministry of Finance has already released a statement to confirm that Sales and Services Tax (SST) will be reintroduced somewhere down the line. You still have to be GST-registered if your taxable turnover is >RM500,000 (within 12 months). All in all, the general sentiment around the GST announcement is positive. While it might be a hassle at first for businesses, business owners and experts feel that the zero-rating of GST will spur consumer spending, and ultimately drive the domestic economy. We’ll be updating the article here as we go along and if new information comes in. This article was written and contributed by the team at StoreHub. It was first published here under the title of “Zero-Rated GST For Malaysian Business Owners: What Does This Mean?”. StoreHub is an iPad POS and retail management platform, serving 3,800+ businesses in Malaysia, Philippines and Thailand.